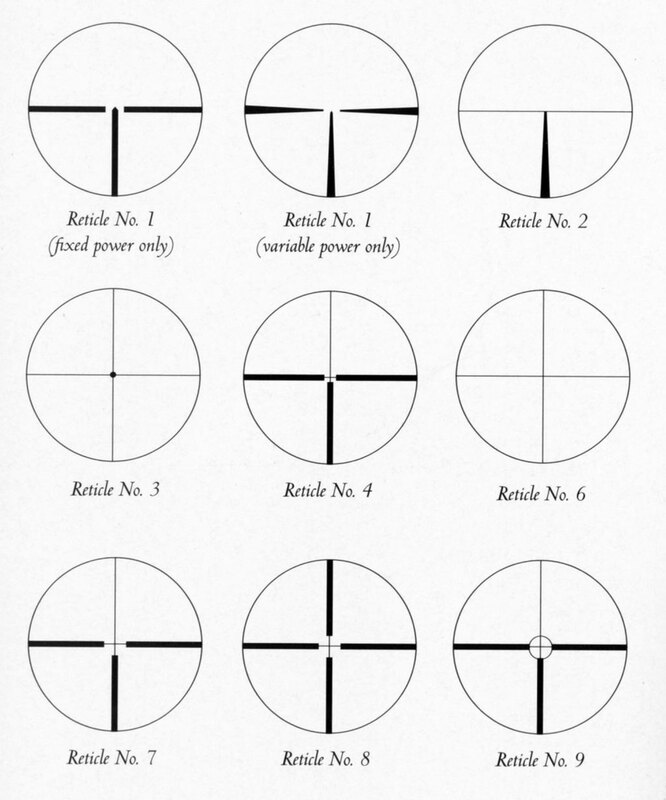 Reticle - A matrix of dots, posts or lines, visible inside a rifle's telescopic sight, normally adjustable via exterior knobs for windage and elevation. 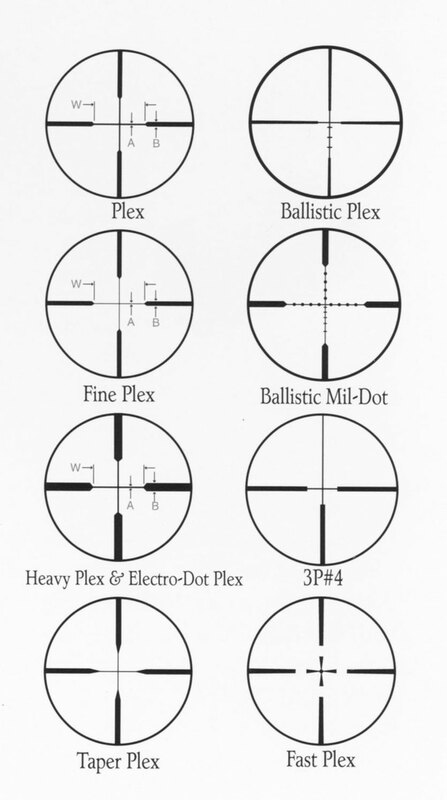 After careful adjustment at a known range, the shooter aims the rifle by superimposing this matrix onto the target. 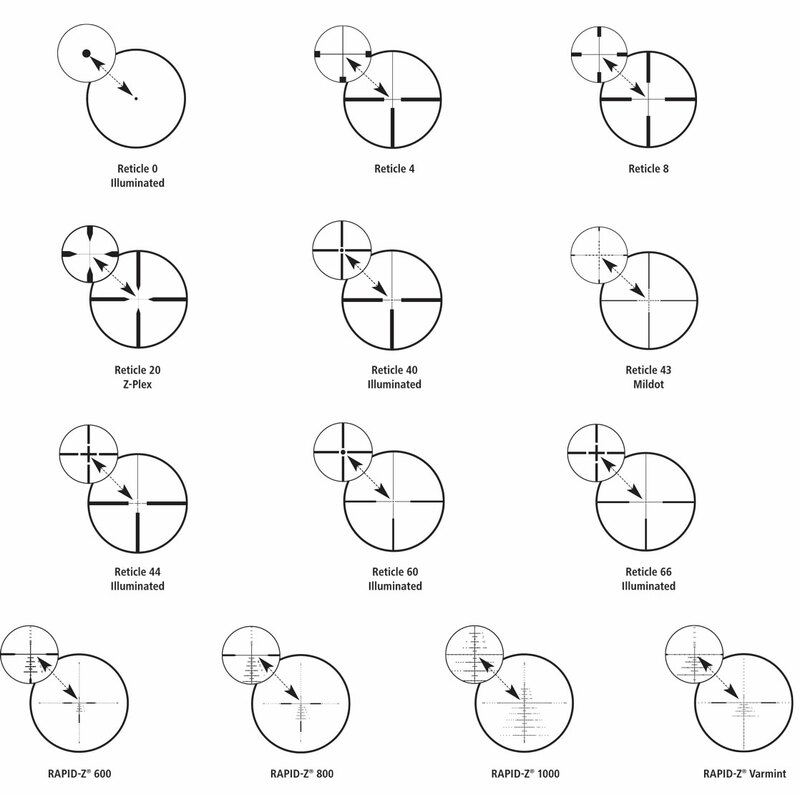 With good estimation or range, cooperation from the wind, a clear eye and a steady hand, he may have a reasonable expectation of hitting his target. Also, less correctly: Reticule. Or, in British: Graticule. 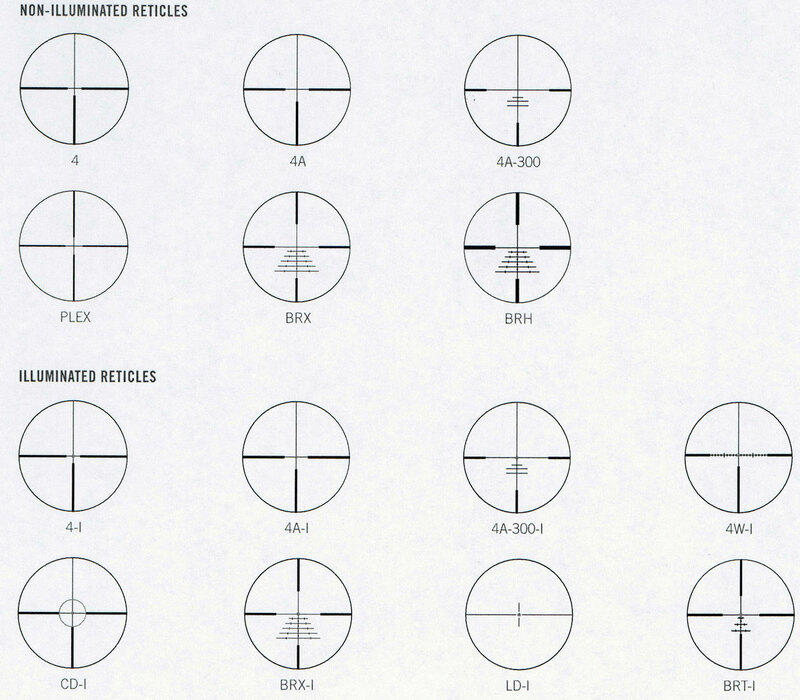 Reticle design is limited only by the creativity of the designing engineer. But, as with many things, often the simplest design is the most enduringly useful.